4 October, Sumarreheide, Sumar (Suameer), Tytsjerksteradiel, Friesland, picked up and released, videoed (J Deinum; de Jong 2004ab). The first record. Because there were no reports of notable southward movements in Scandinavia in the autumn of 2002, this bird most probably originated from the German population; the nearest breeding locations are in Nordrhein-Westfalen and Niedersachsen. 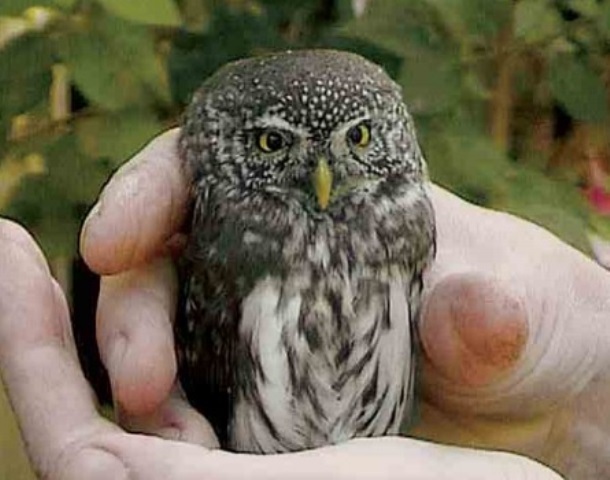 It was first identified as Little Owl Athene noctua and only correctly reidentified in February 2004, when video-stills were sent to Johan de Jong. Annual Report 2005.